Battle of Gods has probably been the biggest animated movie of the year in terms of global popularity. I’ve even known people who have flown to Japan to see the movie in the cinema. 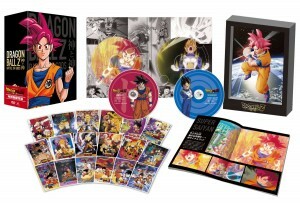 The latest news come from Kanzenshuu which is that Battle of Gods will be released in Hong Kong on the 15th August 2013. The DVD and Blue Ray release will be available soon after in September and is already available for Pre order now on Amazon. At the moment we don’t know if it will be released in Hong Kong with sub titles or in Mandarin or Cantonese but it’s one step closer to us maybe getting an English release. If we don’t get confirmation in the next few weeks of an Official English Release it’s likely we might not get one for a year or so as once the DVD is released in Japan we will have fan translations up within a week or so making the value of an official release a lot lower.